1.GST is a win-win situation for the entire country. It brings benefits to all the stakeholders of industry, government and the consumer. It will lower the cost of goods and services, give a boost to the economy and make the products and services globally competitive. GST aims to make India a common market with common tax rates and procedures and remove the economic barriers thus paving the way for an integrated economy at the national level. By subsuming most of the Central and State taxes into a single tax and by allowing a set-off of prior-stage taxes for the transactions across the entire value chain, it would mitigate the ill effects of cascading, improve competitiveness and improve liquidity of the businesses. GST is a destination based tax. It follows a multi-stage collection mechanism. In this, tax is collected at every stage and the credit of tax paid at the previous stage is available as a set off at the next stage of transaction. This shifts the tax incidence near to the consumer and benefits the industry through better cash flows and better working capital management. 2.GST is largely technology driven. It will reduce the human interface to a great extent and this would lead to speedy decisions. 3.GST will give a major boost to the ‘Make in India’ initiative of the Government of India by making goods and services produced in India competitive in the National as well as International market. Also all imported goods will be charged integrated tax (IGST) which is equivalent to Central GST + State GST. This will bring equality with taxation on local products. 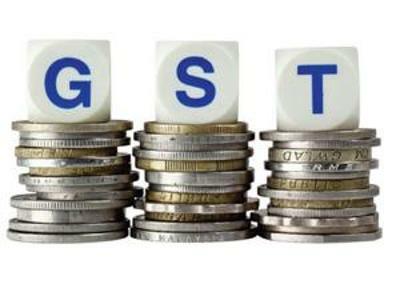 4.Under the GST regime, exports will be zero-rated in entirety unlike the present system where refund of some taxes may not take place due to fragmented nature of indirect taxes between the Centre and the States. This will boost Indian exports in the international market thus improving the balance of payments position. Exporters with clean track record will be rewarded by getting immediate refund of 90% of their claims arising on account of exports, within seven days. 5.GST is expected to bring buoyancy to the Government Revenue by widening the tax base and improving the taxpayer compliance. GST is likely improve India’s ranking in the Ease of Doing Business Index and is estimated to increase the GDP growth by 1.5 to 2%. 6.GST will bring more transparency to indirect tax laws. Since the whole supply chain will be taxed at every stage with credit of taxes paid at the previous stage being available for set off at the next stage of supply, the economics and tax value of supplies will be easily distinguishable. This will help the industry to take credit and the government to verify the correctness of taxes paid and the consumer to know the exact amount of taxes paid. 7.The taxpayers would not be required to maintain records and show compliance with a myriad of indirect tax laws of the Central Government and the State Governments like Central Excise, Service Tax, VAT, Central Sales Tax, Octroi, Entry Tax, Luxury Tax, Entertainment Tax, etc. They would only need to maintain records and show compliance in respect of Central Goods and Services Tax Act and State (or Union Territory) Goods and Services Tax Act for all intra-State supplies (which are almost identical laws) and with Integrated Goods and Services Tax for all inter-State supplies (which also has most of its basic features derived from the CGST and the SGST Act). · 0.5% of the turnover in state/UT in case of other suppliers.